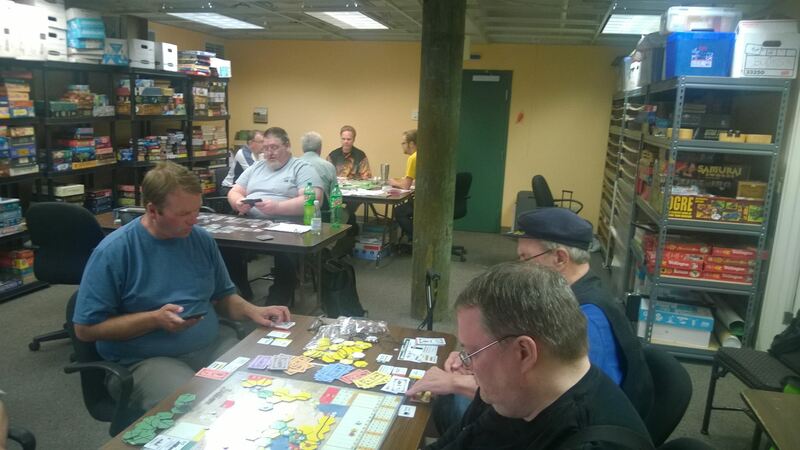 Metro Seattle Gamers' best asset for playing Euro and strategy games is our members' experience. We have been playing Euro games at MSG since the first imports of Settlers of Catan reached the Seattle area. 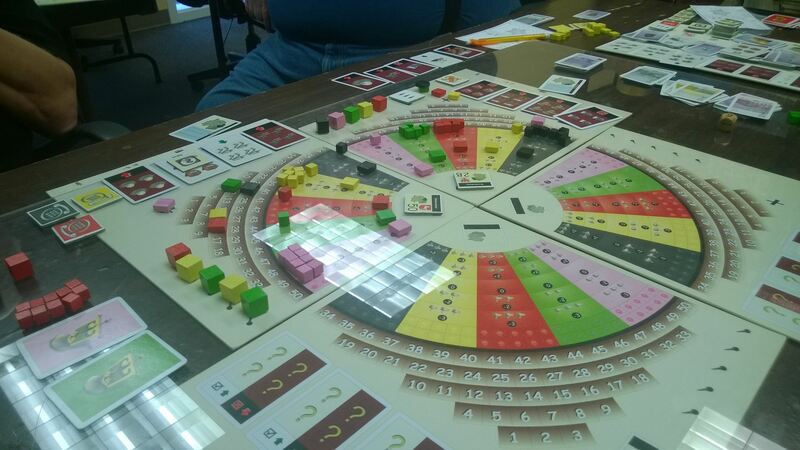 We have been playing non-Euro strategy games, including Euro-like games such as Acquire, since long before then. 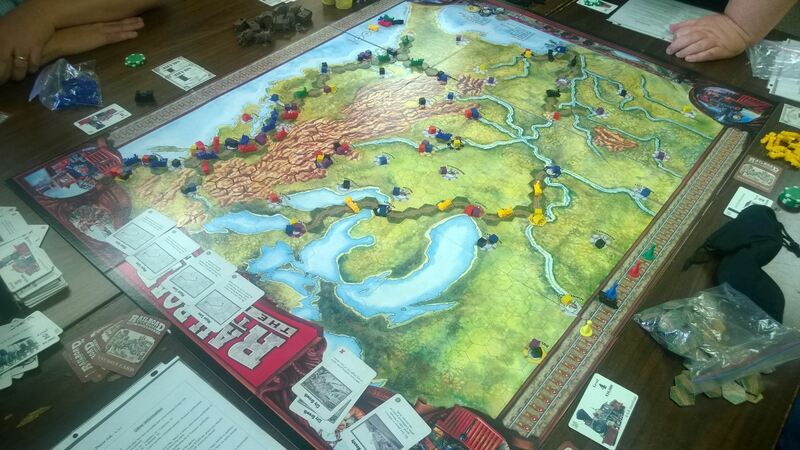 Railroad games such as Rail Baron, 18xx, Railroad Tycoon, and Empire Builder have long had a solid niche at MSG. And, yes, we do pull out the occasional big glossy American strategy game too. The majority of our game library is dedicated to Euro and strategy games, which lessens the hassles of carrying games to and from the club. If you want to experiment with a more complex, longer playing strategy title, such as Republic of Rome or Die Macher, our live game storage system makes it possible to play such a game with convenience. Most Euro and strategy games are played on an ad hoc basis at one of our general gaming sessions, so they don't show up on the schedule however, if you have a particular title that you would like to highlight, we will place that title specifically into the schedule.